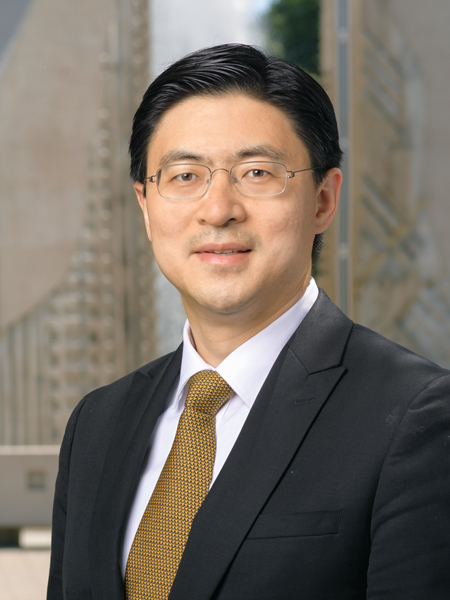 Mung Chiang, Purdue’s John A. Edwardson Dean of the College of Engineering, has been named to the steering committee of the newly expanded Industrial Internet Consortium (IIC), which is now one of the world’s largest technology industry organizations and leading the global drive to realize the full promise of the Internet of Things (IoT). The IIC reported the election of Chiang and Ron Zahavi, chief strategist for IoT standards at Microsoft, in connection with announcing (Jan. 31) that it has combined with the OpenFog Consortium, which Chiang co-founded in 2015, blending the two influential international consortia in IoT. The shared goal is to transform business and society by accelerating the momentum of the industrial IoT, including developing and promoting industry guidance and best practices for fog and edge computing. The IIC’s mission is to deliver a trustworthy IoT in which the world’s systems and devices are securely connected and controlled to deliver transformational outcomes. Chiang is the only university member in the 10-member board of the new IIC and brings significant expertise to this role. Currently, the Purdue Engineering dean also serves as Purdue’s Roscoe H. George Professor of Electrical and Computer Engineering. Previously, he was the Arthur LeGrand Doty Professor of Electrical Engineering at Princeton University, where he founded the Princeton EDGE Lab, which bridges the theory-practice gap in edge networking research. Chiang received the 2013 Alan T. Waterman Award and a 2015 Guggenheim Fellowship for his contributions to networking research and development.